is contraindicated in cases of hypersensitivity or idiosyncratic responses to the drug or where there are preexisting blood dyscrasias. The drug can cause a serious cumulative bone marrow suppression, notably thrombocytopenia and leukopenia (121,122), that can contribute to the development of overwhelming infectious disease. This requires reducing dosages. Irreversible renal failure as a consequence of hemolytic uremic syndrome is also possible (121). Occasionally adult respiratory distress syndrome has also been seen. When extravasation is seen during administration, cellulitis, ulceration, and sloughing of tissue may be the consequence (123,124). The drug is known to be tumorigenic in rodents. Its safety in pregnancy is unclear and teratogenicity is seen in rodent studies. Other side effects include fever, anorexia, nausea, vomiting, headache, blurred vision, confusion, drowsiness, syncope, fatigue, edema, thrombophlebitis, hematemesis, diarrhea, and pain. It is not clear that all of these are related to the use of mitomycin or whether they are at least partly the consequence of other agents in antitumor cocktails. 2.3.4 Pharmacokinetics. Mitomycin is poorly absorbed orally and is rapidly cleared when injected i.v., with a serum half-life of about 30-90 min after a bolus dose of 30 mg. Metabolism takes place primarily in the liver and is saturable. As a consequence of the satu-rability, the amount of free drug in the urine increases with increasing doses. Only about 10% of an average administered dose is excreted unchanged in the urine and the bile because extensive metabolism takes place. The drug is distributed widely in the tissues, wth the exception of the brain, where very little penetrates (125-128). Because mitomycin C is activated as an antitumor agent by reduction, significant effort has been expended on trying to decide whether DT-diaphorase activity correlates well with antitumor activity in vivo. This is as yet imperfectly resolved but the correlation appears to be poor. Other studies suggest that NADPH: cytochrome P450 reductase (a qui-none reductase) contributes strongly under some circumstances. Inactivation and activation occur by metabolism and/or by conjugation, and a number of metabolites, principally 2,7-diaminomito-sene, have been identified (129-131). The ratio between inactivation and activation is partially a function of whether DNA intercepts the reduced species before it is quenched by some other molecular species. 2.3.5 Medicinal Chemistry. Much exploration of the chemistry of the mitomycins has been out accompanied by excellent reviews in the literature (132-134). Total chemical syntheses of mitomycins A and C have been achieved, but these are not practical for production purposes (135-137). More than a thousand analogs have been prepared by semisynthesis but none of these agents has succeeded in replacing mitomycin C itself. Generally, it has been found that mitomycin C analogs are less toxic than mitomycin A derivatives. Most modifications have been achieved at the N-la, C-7, C-6, and C-10 positions. The C-7 position is particularly conveniently altered through addition/elimination sequences, and some of these agents have received extensive evaluation. It is noted that the C-6 and C-7 positions play only an indirect role in the activation of the ring system, so substitutions there might be regarded as primarily significant in altering the pharmacokinetic properties of the mitomycins. It has been found quite recently, however, that the participation of the C-7 substituent in activation by thiols differs significantly when C-7 bears a methoxyl group (the mitomycin A series) compared to the activation when C-7 bears an amino group (the mitomycin C series). Indeed, thiols activate the methoxy analogs but not the amino analogs. Mechanistically, both series arrive at the same bisalkylating species in vivo but through different routes. This may help rationalize why mitomycin A is both more potent and more cardiotoxic than mito-mycin C (138). The results of a comparison of physicochemical properties and biological activity of the mitomycins led to the conclusion that potency correlates with uptake, as influenced primarily by log P, and also with the redox potential (El/2) (139). The metabolism of mitomycin C in vivo primarily leads through reduction and loss of methanol to a dihydromitosene end product. Interception by DNA, on the other hand, leads to alkylation of the latter instead (138, 139). 2.3.6 Molecular Mode of Action and Resistance. Mitomycin C undergoes enzymatic reductive activation to produce reactive species capable of bisalkylation and crosslinking of DNA, resulting in inhibition of DNA biosynthesis (140-142). This effect is particularly prominent at guanine-cytosine pairs. The reductive activation of mitomycin C makes it particularly useful in anaerobic portions of tumor masses that have a generally reducing environment. Mitomycin is also capable of causing single-strand breaks in DNA molecules. The apparent chemical mechanism by which mitomycin is reductively alkylated to a bisalkylating agent is illustrated in Fig. 3.9. The process is initiated by a quinone reduction followed by elimination of methanol, opening of the aziridine ring, conjugate addition of DNA, ejection of the carbamate function, and further addition of DNA. The bisalkylation of DNA can be either intrastrand or interstrand, as illustrated in Fig. 3.10. Figure 3.9. Reductive activation and bisalkylation of DNA by mitomycin C.
144), binding to a drug-intercepting protein that also has oxidase activity (145), and to P-glycoprotein-mediated efflux from cancer cells (146, 147). 2.3.7 Medicinal Chemistry. The pharmacologically successful chemical transformations of mitomycin are schematically summarized in Fig. 3.11. 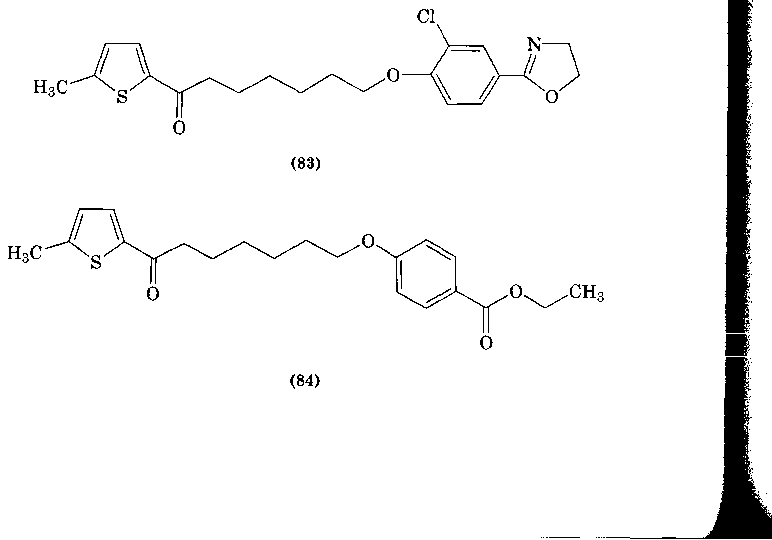 The chemistry and pharmacological actions of the mitomycins have been reviewed (132-134, 148).